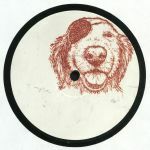 Review: Artwork of the week goes to Blind Jack's Journey and this Polar Nip 10" from Error 404 and Oddnip!! Oh yes and the music is pretty damn great too as you'd expect from the perennially on point and perennially sold out Yorkshire label. Up top, the unheralded Error 404 delivers a slab of slow burning acid that bumps and fizzes in all the right places for over seven minutes - a bit like a pitched down Funkineven track and a nice cut for when you want to add a bit of drama to the early hours of a clubnight. Down below and Blind Jack's graduate Errornipp comes through with a delicious slab of beatdown house with plenty of neat interplay between those fat kickdrums and those grooving melodies.